Following the tragic Metro-North train derailment incident over the weekend, the Hudson Line service will resume to 98% regular service for the Wednesday morning commute. Following the Metro-North train derailment incident in the Bronx over the weekend, Governor Andrew M. Cuomo announced the Hudson Line will resume to more than 98% of its regular service for the Wednesday morning commute. 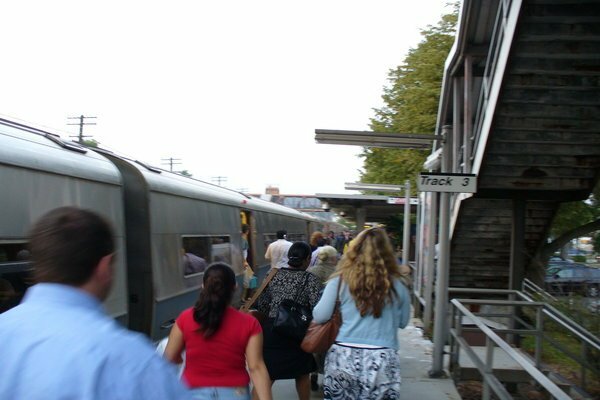 Customers of the AM peak commute should expect possible delays on the Hudson Line of 10 to 15 minutes. The regular six AM peak trains will be combined into three. The Hudson RailLink bus service will serve the Spuyten Duyvil Station. There will not be any parking available at the station as numerous heavy duty trucks and specialized track equipment will be present for the rebuilding effort. Efforts are underway to restore all tracks as soon as possible. Until then, the railroad will operate all but three of its 175 regular daily Hudson Line trains on a single track. The weekend derailment incident left four people dead and dozens injured. There was also significant debris to clear out and tracks that need to be rebuilt. Efforts to restore the Hudson Line for the morning rush hour commute was possible with around the clock work by Metro-North, while the National Transportation Safety Board continues its investigation as to the exact cause of the tragic event. The rail cars involved in the weekend incident have been moved to Highbridge Yard in the Bronx and Croton-Harmon Yard in Westchester for further investigation. The roughly 900 gallons of diesel fuel that spilled at the crash scene has also been removed and the rebuilding of 800 feet of track are underway with one track available for service while two other tracks continue to undergo rebuilding along a one-mile segment. Subject: LongIsland.com - Your Name sent you Article details of "Metro-North Hudson Line Service Returns to Near Regular Service for Morning Commute following Weekend Derailment"